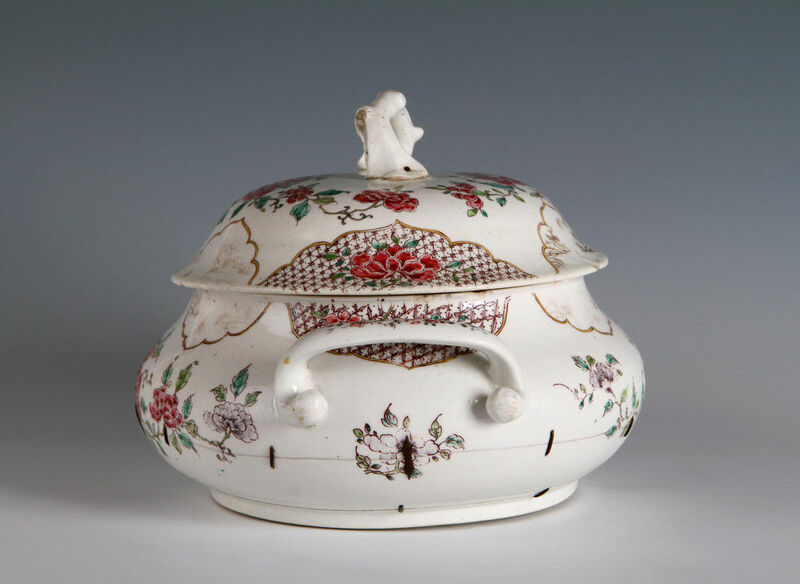 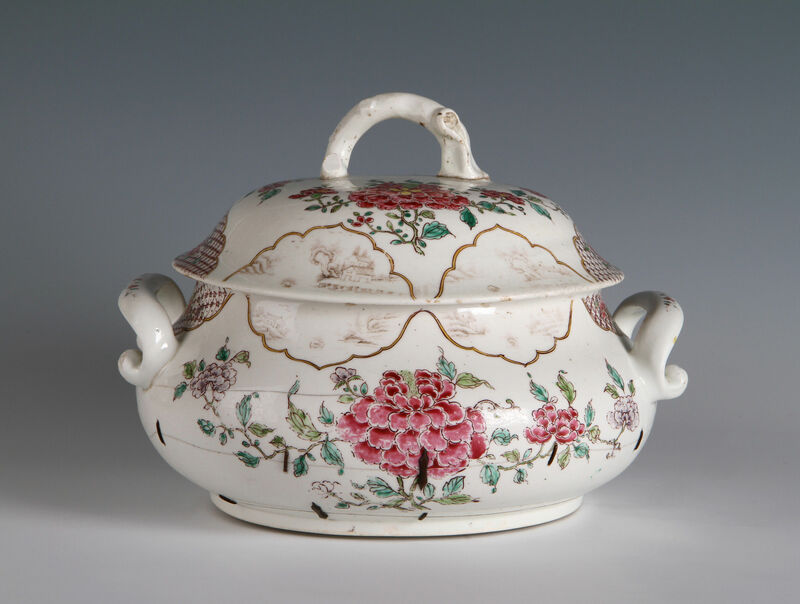 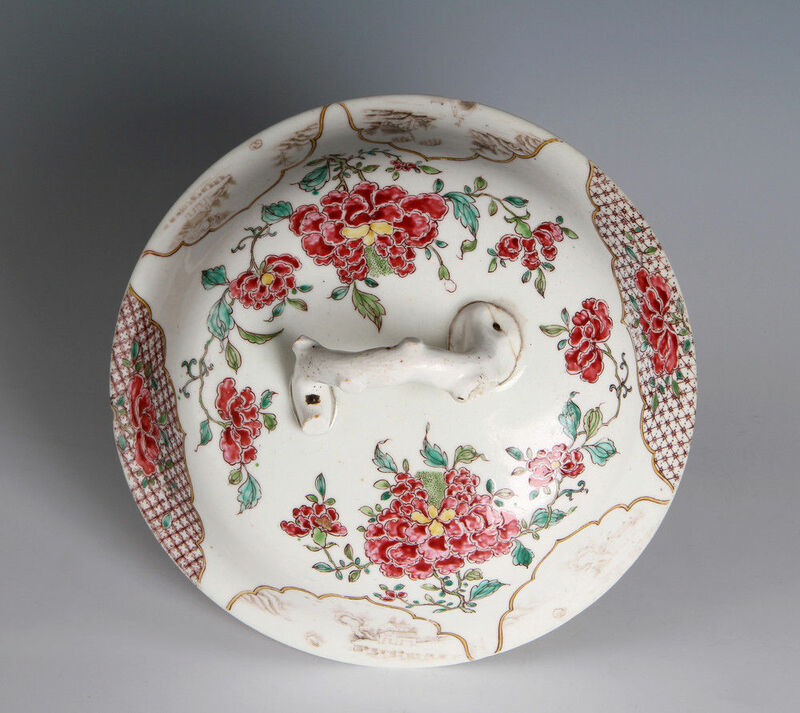 Enamelled on the outside with trailing pink peonies and with six cartouches on the cover and bowl; four of these are decorated in a soft grisaille with Chinese landscapes and two with a peony on a diaper pattern, the interior with a single peony blossom and foliage. 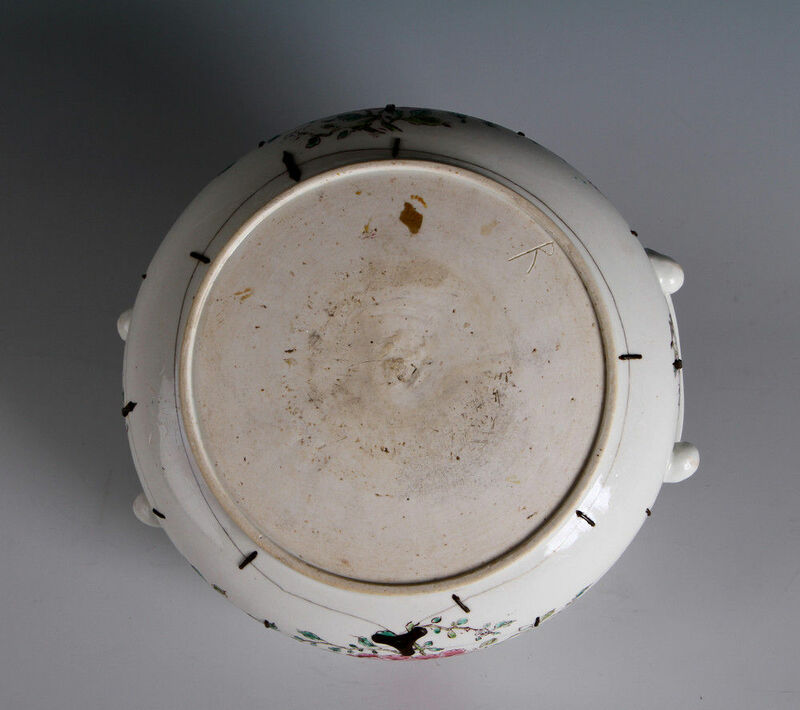 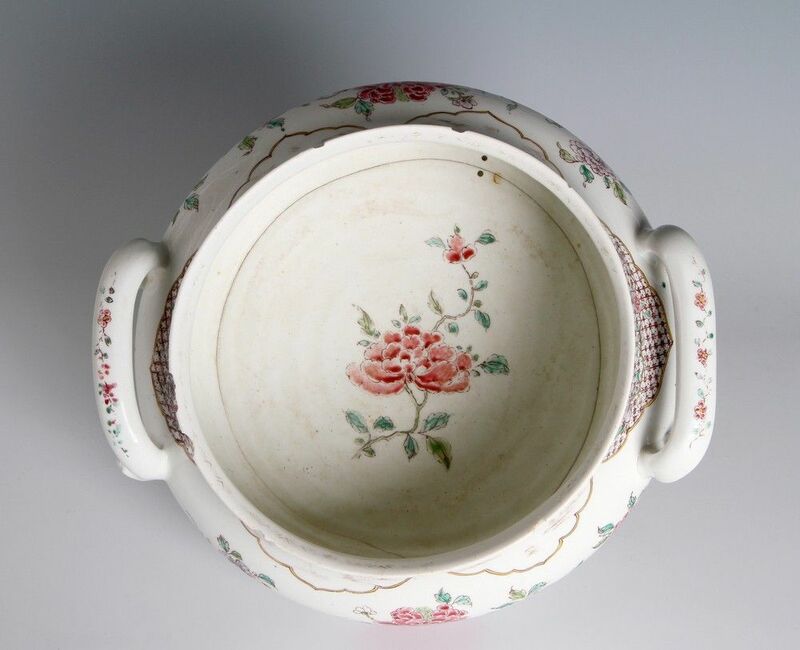 The handles on the bowl decorated with trailing flowers, the handle on the cover shaped as a twig. 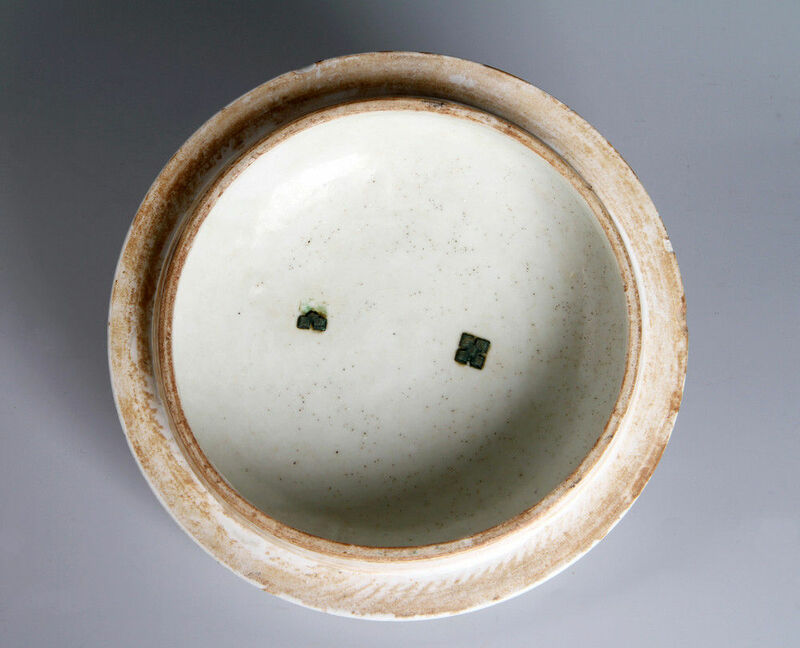 The ‘incised R’ pieces form a distinct group of very early Bow characterised by well-potted strong forms and bold decoration. 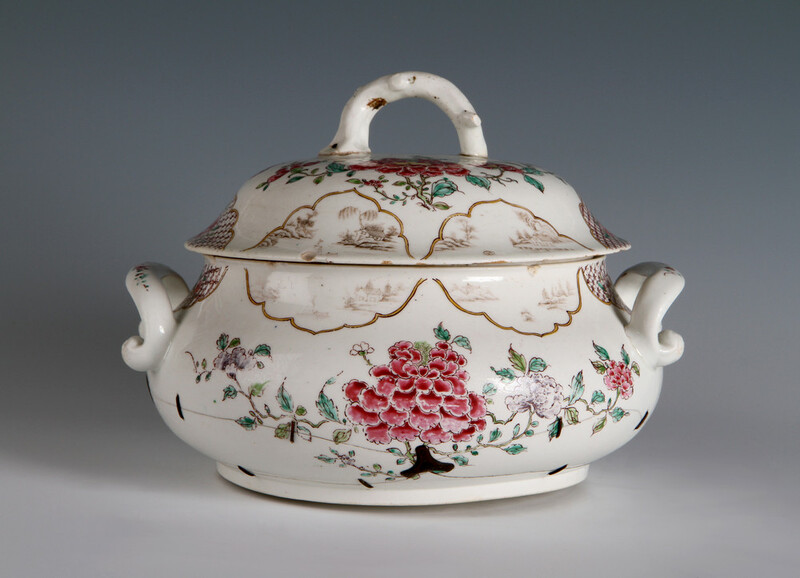 A number of other tureens of this type are similarly damaged, perhaps they could not withstand high temperatures but they were still considered sufficiently fine objects to be worth preserving. 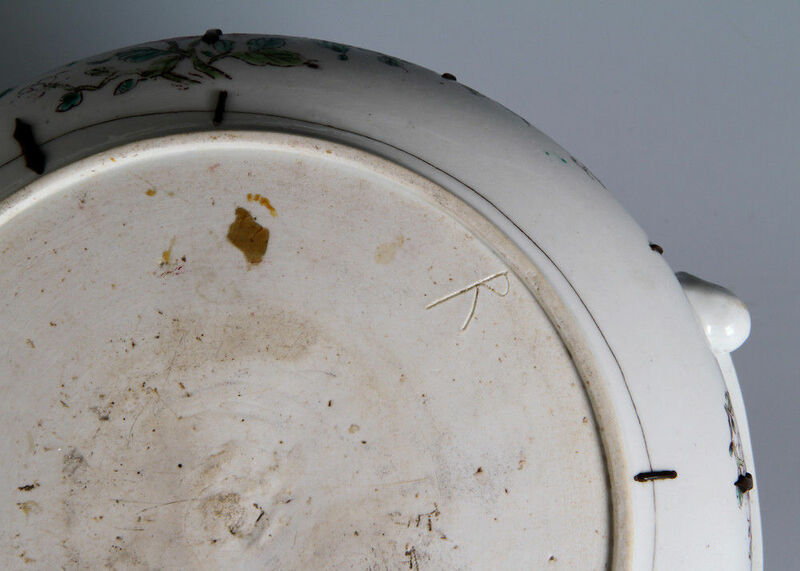 Condition – Extensive old cracks around the body with 18th Century chamfered brass rivets, chips to rim of bowl and cover. 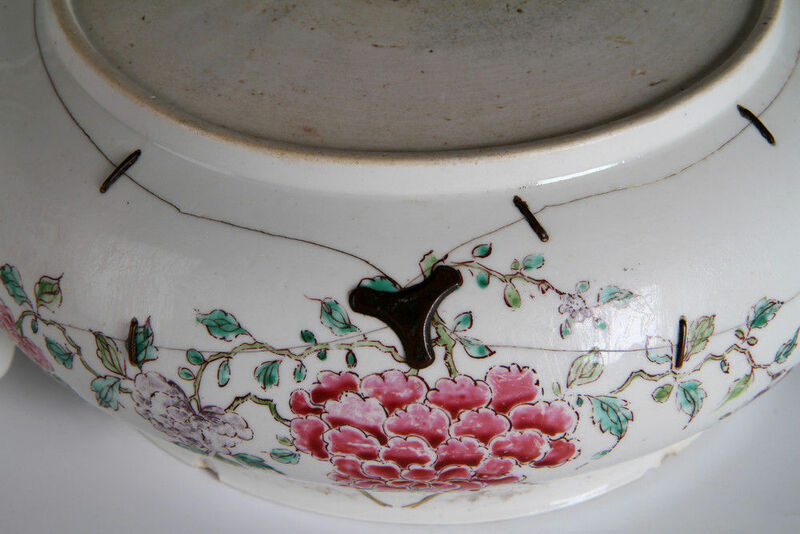 The handle on the cover repaired with old bolts.